ProII™ SERIES: For Those Who Demand The Best Garage Cabinets! Moduline’s modular PROII™ SERIES military-grade aluminum garage and shop cabinets and tool boxes represent your best option for a cabinet system. 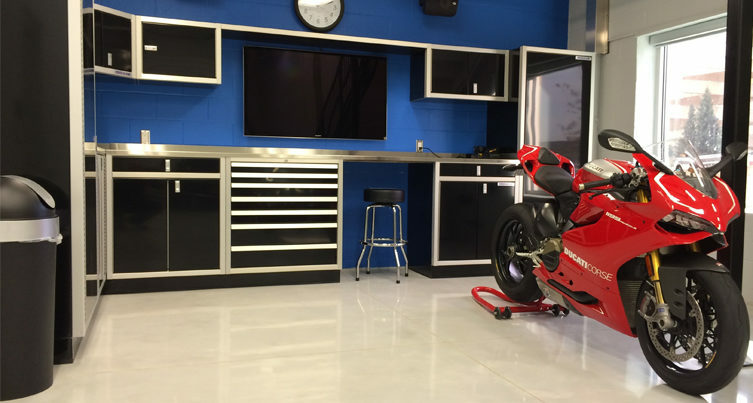 Our custom layout and design meets your needs in your garage or shop. 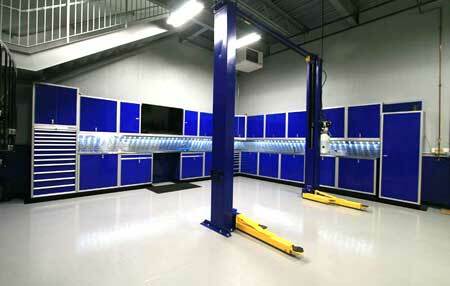 With our lifetime warranty, our flagship high-alloy aluminum garage and shop cabinets line pretty much started it all. Our custom-built cabinets offer professional quality, coupled with a designer appearance that set the standard. 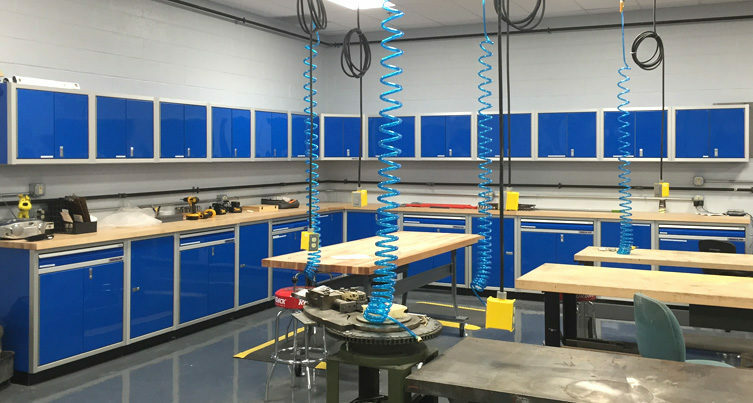 Our military-grade aluminum garage and shop cabinets leverage the beauty of metal to deliver cabinets that are like no others out there. Fully versatile and customizable, our precision and craftsmanship is embodied in every aspect of our cabinet systems. 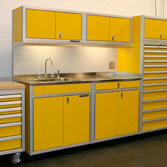 From engineered closets and drawer units to wall cabinets and mobile tool boxes. You can mix and match between our military-grade aluminum cabinets and accessories to fit your personality and organize your garage, shop, or space. Plus, our patented QuikDraw® technology lets you open and securely close drawers with one-touch ease. Taking some of the key elements from our PROII™SERIES and packaging them in an affordable cabinet system, more people enjoy the quality of the Moduline brand. 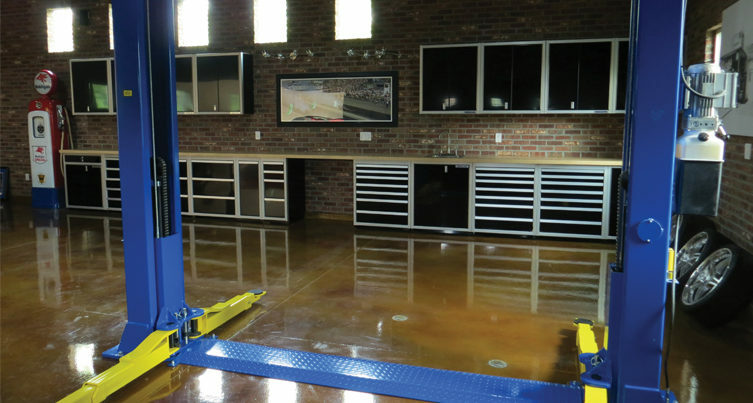 Our Select™ SERIES of military-grade aluminum cabinets offers the quality of a professional series cabinet system for your garage or shop with an affordable price. With features like soft close hinges, a 6’’ Toe Kick Riser™, adjustable shelf system, and sleek color matched frame design, our Select™ SERIES of organization and storage cabinets are crafted in perfect layouts to use for the home, garage, or shop. These military-grade aluminum cabinets are designed to be secured to a wall or mounted on our Instant Walls™, making them easy to install anywhere. No more worrying about finding a wall stud to fasten them into. Our cabinets offer minimum assembly required, allowing for easy shipping. They also come with all hardware included so it’s as easy as buy, ship, build, DONE! Moduline Cabinets are the best military-grade aluminum shop & garage cabinets you’ve been looking for. 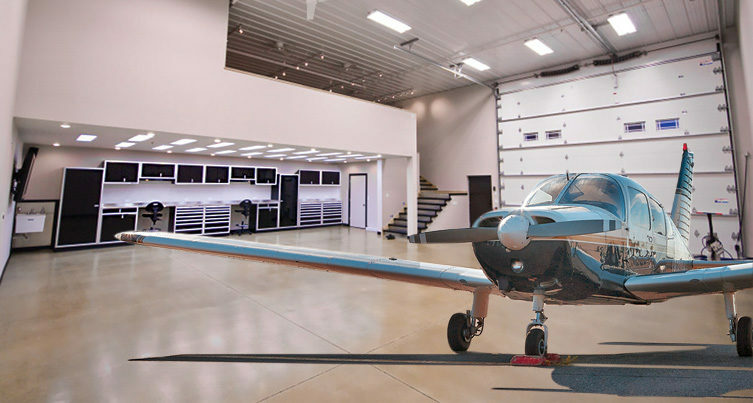 Whether you choose the Select™ SERIES or the PROII™ SERIES for your garage or shop, we help you design and create a layout that meets your needs. Our custom and modular military-grade aluminum cabinets help you create layouts that are efficient with organization. Call us today for a complimentary design consultation at 888-343-4463 and get started today!